Every city is beautiful and has a lot to offer. From monuments to local attractions and from restaurants to other places, there is a lot to explore and see in your own city. But one thing that can stop us from doing so is the lack of the right means of transportation. It may not be possible for all of us to buy a vehicle especially so that we can see our city and public transportation in every city is also not that great. 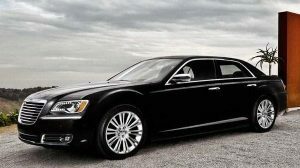 In such a case it is best to choose local car service, especially one offered by Dallas Limo and Black car service. Read on to find out more about the same. By choosing our local car service, one benefit that you can avail is that you can visit any place or go to any corner of the city, wherever you want. We offer flexible car renting options which can be booked with or without the option of a chauffeur. Moreover, you can go to places that you had on your bucket list but were not able to go to till now. There is absolutely no limit to the amazing options you can explore by booking our local car service option. When you book with us, you are absolutely not limited to the type of car that you wish to rent. Our fleet is impressive and gives you the option of getting spoilt for choice. Imagine riding in the car of your dreams to the place you always wanted to go to and for as many hours as you would like. Want this to come true? Book with us today! From Limos to Mercs and from standard cars to luxury vehicles, the list is endless. One thing that makes us better and different than other car service providers is the fact that we are extremely affordable and definitely more than owning your own car. We offer flexible payment and booking options which again gives us an edge over other car rental providers. You can also always avail several deals and offers if you are lucky enough to find ongoing ones on the website. So what are you waiting for? Our local car service and other services like executive minibus etc are waiting to serve you and take you around the city for a tour that you always wanted. 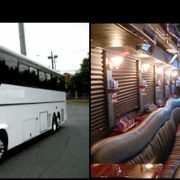 So book with us today and go anywhere you want in Dallas (TX). Dallas Limo and Black car service is always at your disposal. 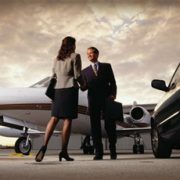 Why Hire Private Airport Transportation Against Regular Cabs? Enjoy comfort and luxury with our Sprinter Passenger Van For all your Limo rental needs, contact us!